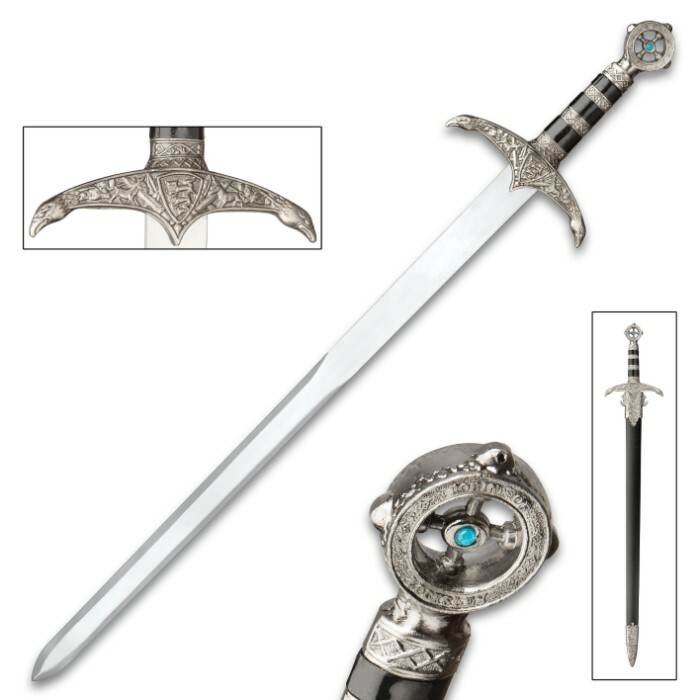 Robin Hood Sword of Locksley - Stainless Steel Display Sword - Ornate Hilt, Eagle Crossguard - Robin of Locksley, Earl of Huntington Blue Jewel Pommel - Matching Scabbard - Medieval Middle Ages - 29"
Though most famous for his skill with a bow-and-arrow, Robin Hood was also a skilled swordsman. According to legend, his sword was as well known as he was. 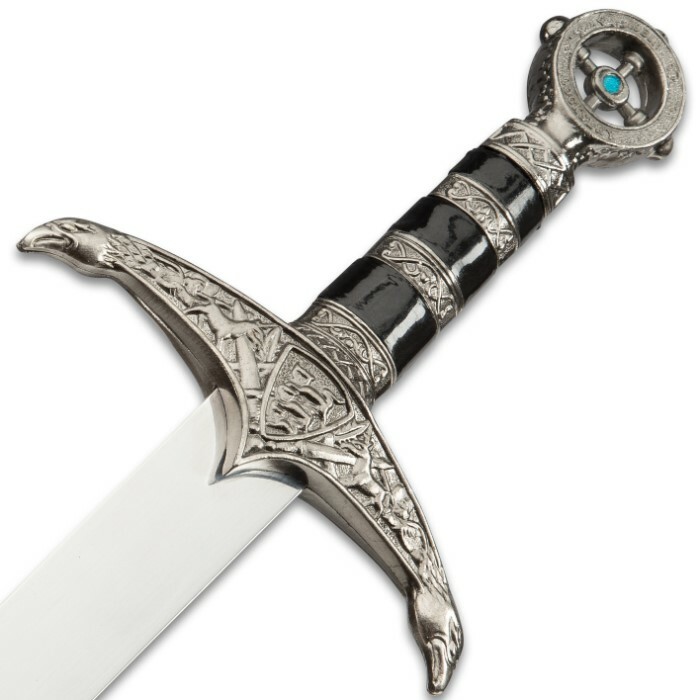 This breathtaking display sword flawlessly mirrors one of the most common depictions of the storied hero's sword. 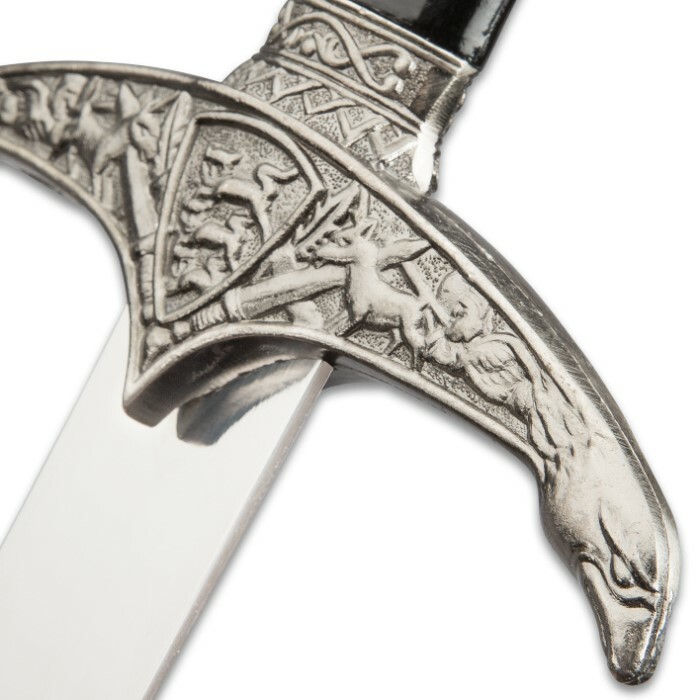 Gifted to Robin by family or stolen from a noble warrior in Sherwood Forest, this weapon is a stainless steel blade set on an ornately metal cast hilt that befits a both a noble warrior and a forest bandit. The guard is set with images largely reminiscent of a forest with a shield protecting a cross at its center. 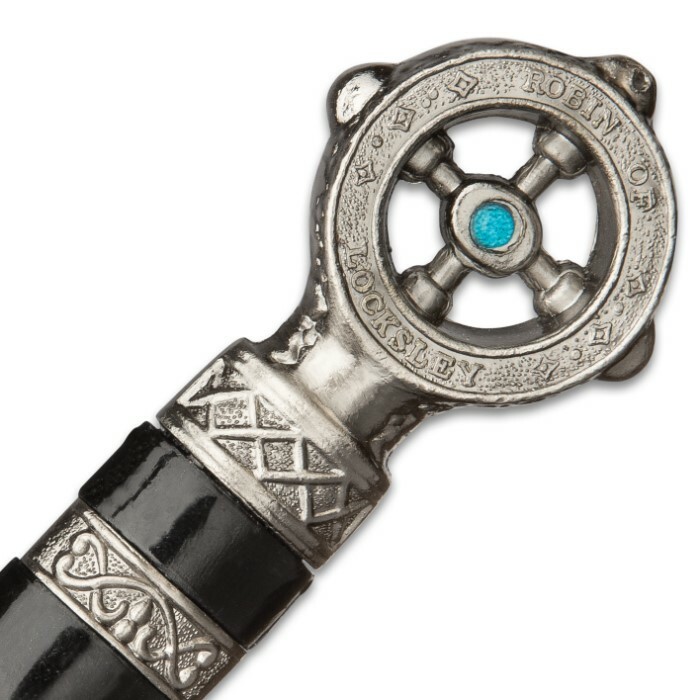 The hilt is simple, decorated only by four bands that encompass the hilt with circular patterns that serve not only to enhance the grip but to add quality to the sword. 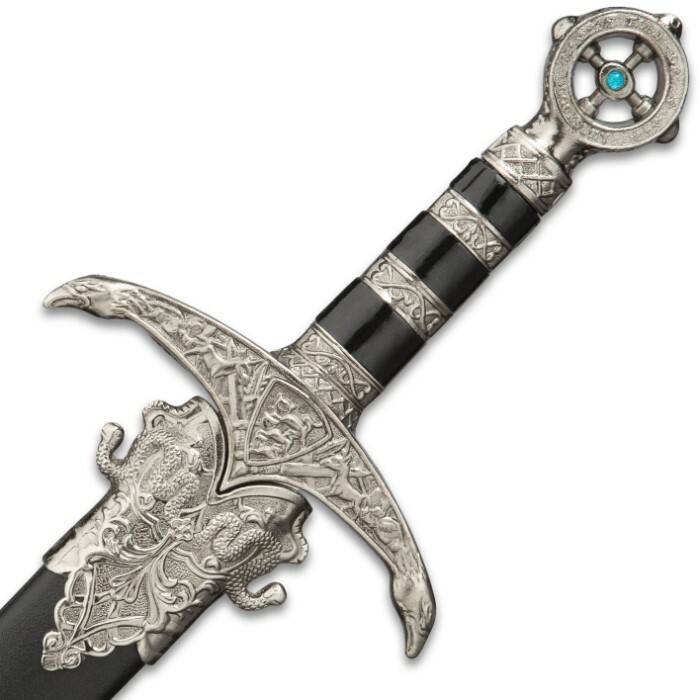 The most ornamental piece of the blade is the pommel, a blue stone held within a circle by metal prongs, making it look very-much like a stylized cross. Earned or stolen, the Robin Hood Sword no doubt became a part of the persona. The sword likely became as recognizable as the man did, in time.